“Verity helped me with…acupuncture and also dietary and lifestyle advice. I…would absolutely recommend her to others”. “I approached Verity to support me…Each session was targeted as needed and she kept me calm and positive throughout. I would highly recommend her”. “I have always found Verity to be very patient, understanding, professional and kind in resolving my health problems. Verity is very knowledgeable, friendly and caring. If you are looking for an acupuncturist, I have no hesitation in recommending Verity”. “I began seeing Verity 6 months ago, suffering from severe migraine…Her sessions are professional and calming, and I feel relaxed each time. She explains what she is doing and takes the utmost care while doing it. Although migraine is still an issue for me, the frequency, duration and intensity of the headaches has improved considerably. I am happy to recommend her, and would encourage others to try her treatment”. “I have been visited by Verity for over 6 months now and find her to be very professional and supportive. I have no hesitations with recommending Verity to anyone”. “Verity’s … professionalism, along with her care and warmth, have been invaluable to me throughout my journey. Verity comes highly recommended”. “Verity has been patient, understanding, professional and kind in resolving many of my outstanding problems…If you need help I have no hesitation in recommending Verity”. “My neurologist recommended that I should try acupuncture. I contacted Verity as I wanted to try out Chinese acupuncture and am very pleased with the treatments. She is a very knowledgeable, friendly, caring and approachable person. Verity understands my condition and the pain that I am suffering…I can’t thank her enough for helping me with my condition”. “Verity…is professional at all times and adapts the treatment session to my current symptoms….She is always placid and welcoming and obviously loves her work. I am very grateful for helping me through a very difficult time”. “As someone who has been receiving acupuncture for over 16 years, it is difficult to move to a new area and find an acupuncturist that I feel happy and comfortable with…I found Verity who is extremely competent and intuitive in her work. After every session I feel more balanced both physically and emotionally”. “Whether you are thinking of having acupuncture for the first time or are looking for a new acupuncturist, you will be very happy with Verity Barltrop. I can honestly say that … Verity has been an absolute life line! Verity listens to you; how your day was, how you are feeling, has a situation caused you anxiety, what hurts, how you slept, also, what you are not saying. This is so important as she takes time to really understand your goals, sensitivities and lifestyle. Her nature is of a very genuine, gentle and kind person. How often do you meet people like this? With Verity, you will feel like there is no one else, just you and her in the room. She really listens, takes time not just during the session, but outside of hours, will give you recommended eating foods according to your imbalance. If you mention something she may know little about (not that often) she will say so and not pretend to know. She will then come back the next session having done research on the subject letting you know if she can help or aid in anyway. Verity works from the Windmill Centre Ruislip, but can come to your home too which has been a god send in recent months. Verity always starts her sessions on the dot timing wise- you won’t be short changed. The sessions are so relaxing and calming from beginning to end. You will see how passionate Verity is about your health from the moment you meet with her. I have been seeing her since June 2015- seven months. I have weekly sessions for my particular situation, but all I can say is after 6 years she has made my situation better when no else could! It’s without a doubt with Verity at my side, I feel invigorated and in good health. People turn to acupuncture as a last resort. But it should be the first port of call when you have an illness or wish to prevent common ailments. I am currently seeing Verity during my first trimester. Whilst I see other mothers suffering from nausea, vomiting and exhaustion, I have none of those symptoms and the baby is doing just fine during an early scan we just had. Verity’s professionalism, expansive knowledge about acupuncture, effective treatment and kind nature is most definitely worth every penny. If my family lived closer, I would be sending them all her way! “I approached Verity because of my back pain. I chose to approach Verity as my mother goes to her too and I have heard the benefits of acupuncture. The results were truly amazing. After a week I felt so much better. Verity gave me some really good advice on exercises and nutrition. She is truly a lovely, friendly, calm lady. Very approachable and friendly too. My experience in being treated by Verity was very relaxing and enjoyable. I highly recommend Verity”. Happy Chinese New Year! Enjoy good health! 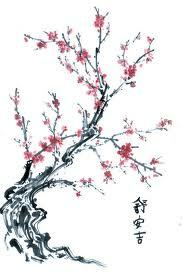 Chinese New Year (the spring festival) marks the end of the winter season. It is a time to celebrate the start of new life, to let go of any resentments, start afresh, and wish peace and happiness to all. 2015 is the Year of the Goat (also known as Sheep or Ram) which begins on 19th February, and is traditionally celebrated for 15 days. If you were born in 1919, 1931, 1943, 1955, 1967, 1979, 1991, 2003 and 2015 then you were born in the Year of the Goat. People born in these years are said to be gentle, kind, compassionate, sensitive and wise. They are also creative and artistic. If you were born in the Year of the Goat then contact Verity. To celebrate the New Year she would like to offer you a 10% discount for your first consultation (offer ends 28th February 2015). Xin Nian Kuai Le 新年快乐, Gong Hei Fard Choy 恭喜发财, Xing Ni Ju Yi 新年如意, Happy New Year! It’s Acupuncture Awareness Week 2nd-8th March this year. Verity is having an Acupuncture Awareness Day on Saturday 7th March 2015, 10.00am to 4.00pm, at The Windmill Studio in Ruislip, and would love for you to get involved. She will be giving free 15 minute one-to-one consultations and £10.00 discount for any new bookings made on the day. So whether you would like to ask any questions, come along for a chat, or to look at the tools of the trade, Verity would love to see or hear from you. “Verity was extremely friendly, courteous and professional in her manner and each consultation was thorough and reassuring. The full course of treatment has certainly helped to ease my pain and make me more relaxed. Moreover I have been consequently able to manage my underlying problem with more efficacy than had I still been suffering from severe pain. Many thanks Verity”. “I have had a course of 12 treatments with Verity…Verity put me at ease instantly and I saw an improvement in my symptoms from the first week. Throughout the treatment Verity has been friendly, caring and knowlegeable. Although I had been apprehensive about having needles stuck into me, Verity is very gentle and skilled at her work and I have come to look forward to my treatment sessions. I have left every session feeling more relaxed and significantly better. I cannot recommend acupuncture with Verity enough”. “Verity set me at ease from the very first meeting. I was nervous of what to expect but she explained everything thoroughly and clearly and answered my questions. She took detailed notes of my medical history and this enabled her to tailor the treatments to my requirements. Her subject knowledge is immense, she keeps detailed records of every session and is happy to adapt to my needs and requests. She is always punctual and professional and creates a wonderfully calming atmosphere when giving treatments. I highly recommend her as a practitioner. A therapist with true heart”. Enter your email address to receive notifications of Verity's new posts and news by email.